This track will address the importance of the establishment of alternative human living locations off Earth as insurance for the survival of human civilization should a natural or man-made disaster befall our planet. For this reason, many believe that the human drive towards Living in Space is humankind’s most worthy endeavor. 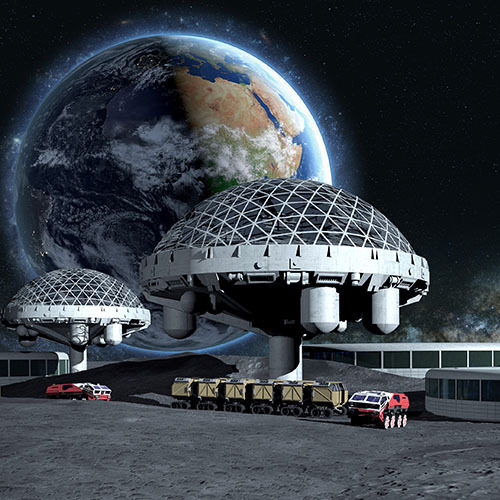 International cooperation, modern science, advanced technologies and the exponential growth of knowledge and collaborative wisdom will eventually enable large-scale human expansion into space. 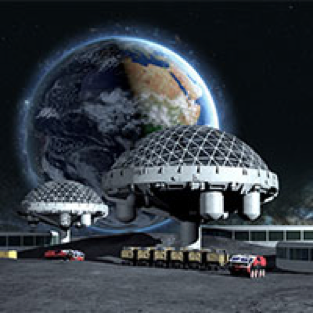 The Living in Space Track will include lay person focused presentations from a variety of different disciplines ranging from the hard sciences to science fiction, from psychology and philosophy to astronomy and astrophysics, from today’s pioneering space program to tomorrow’s evolutionary steps towards the establishment a human space faring and multi-planetary civilization. Dr. Bob Krone, President of the Kepler Space Institute, is a global educator, author, and consultant in Advanced Management theory and practice. He is an Emeritus Professor of the University of Southern California (USC) in Los Angeles; was a Distinguished Visiting Professor in the School of Business at La Sierra University in Riverside, California; and an Adjunct Professor for Doctoral Programs in the International Graduate School of Business at the University of South Australia. He authored or co-authored six books and 70 professional journal articles. Bob graduated from the Naval War College Command and Staff College. He is a Fellow Member of the American Society for Quality with an academic specialty in the Quality Sciences; Secretary of the National Board of the Distinguished Flying Cross Society; Member Board of Directors of the Veterans Museum and Memorial Center, San Diego, California; and Emeritus Member Board of Directors of Idyllwild Arts. Bob has stayed in touch with Aerospace by his co-founding of the Kepler Space Institute, being a member of the NASA sponsored Aerospace Technology Working Group (ATWG), where his major activity was editing BEYOND EARTH: THE FUTURE OF HUMANS IN SPACE. That book was on the Universe Today list of “Best Space Books in 2006” and was inspiration for founding the Kepler Space Institute. Ms. Sushereba serves as the Executive VP of Public Relations for Kepler Space Institute and is an active member of the KSI Board of Directors. Throughout her time with KSI she has worked with the National Space Society as the VIP coordinator and as an event programmer for their International Space Development Conferences. In addition to her work with Kepler, Ms. Sushereba also serves as the Executive Vice President of Administration for Smart Fleet Engineering. In her capacity as VP with Smart Fleet, she acts as a liaison to senior management in Finance, Accounting, Strategic Planning, and Acquisitions. Ms. Sushereba’s areas of expertise are Public Relations, Strategic Planning, Marketing, Event Planning, and Management. In 2011 Ms. Sushereba served the Secretary of the Florida Senate as an Information and Press Liaison. Ms. Sushereba served as the President of a local woman’s service group, the Relief Society of the LDS church in Richmond Va. 2003-2006. In her capacity as President, she helped to rise over $100,000.00 to benefit a local Women and Children’s shelter. As a Humanitarian and Space Advocate working in the Education and commercial space fields, her main interest lies in creating a legal and moral framework for off earth exploration and habitation.